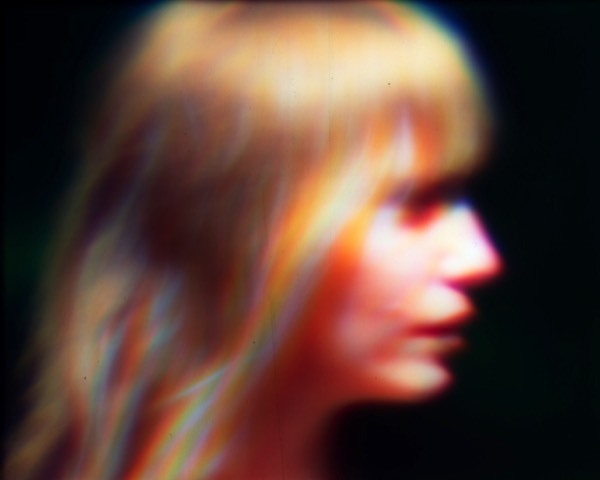 In her series, Refraction, the artist has photographed sitters out of doors with a homemade camera equipped with a magnifying sheet or Fresnel lens, replacing the single reflex lens. The result is a diffuse image bathed in light which has been amplified and refracted into a spectrum display due to the prismatic shape of the thin plastic lens. McCarthy’s photographic exploration of natural light has evolved from a straightforward narrative approach to one which highlights the independence of light as divorced from its descriptive role. The final results are other-worldly portraits made without digital interference or manipulation.